Producer/Farmer & Contract details all under one roof! Green coffee purchasing decisions can be complicated; and in many respects, it’s what sets apart the best cafes and roasteries. Now it’s possible to collect and organize all the details related to your coffees in one place. 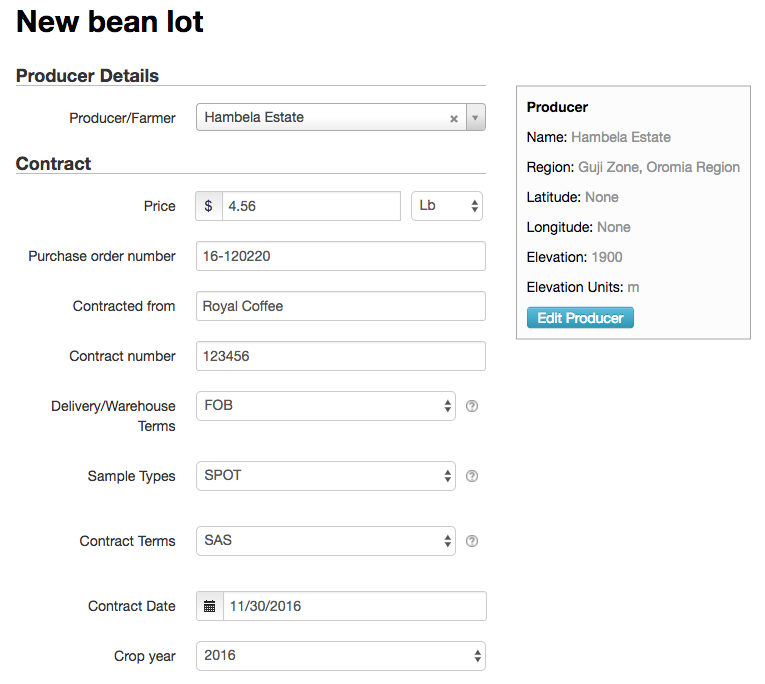 In addition to details about bean lots, cultivation, processing and physical attributes, RoastLog now manages additional producer and contract-related information. 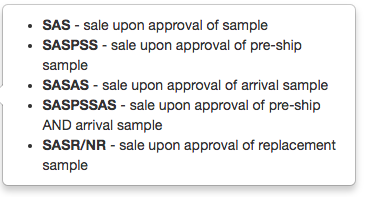 Screen capture of Producer & Contract Details on new bean lot page. 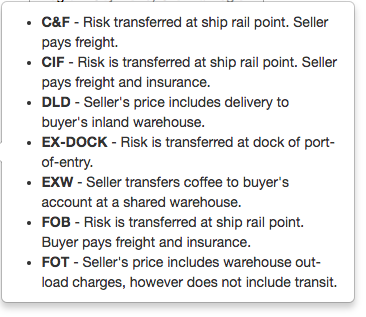 We’ve even made an effort to help you organize the alphabet soup of acronyms found on purchase contracts. We’re working hard to make RoastLog the best way to manage your green inventory. Let us know how we’re doing! We set out to solve real-world problems for coffee roasting operations. We want to help roasters achieve their goals for quality and consistency while keeping your business profitable. 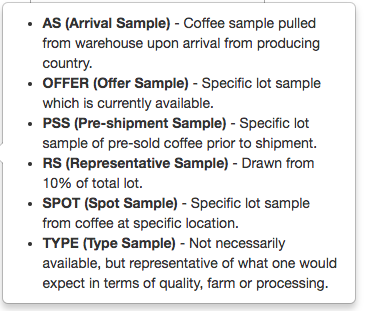 RoastLog helps manage information about contracted coffees, facilitates green coffee inventory management, provides forecasting / usage analysis tools, automates the collection of roast profiles and other record keeping tasks.